As far as giving a present goes, it can be quite tricky to find the right gift for a person. If it’s your wife or your husband, you want to get the right type of sentimentality going. You need to get a gift that says more than just thanks for being my partner, you want to say “I love you and I appreciate you and you are my one and only and also thanks for putting up with my rubbish after all these years”. If it’s your mom or your dad that you’re spoiling, you’re going to want to say thanks for always being there for me and also taking those spiders out of my room when I was 7. 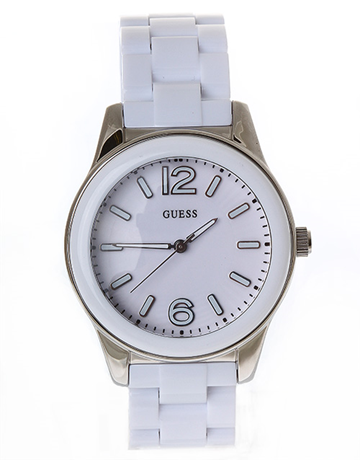 But whatever the occasion and whoever the person it is that you want to spoil, there can be no better way to do so than with a stylish watch from Guess. And with NetJewel there is no easier way for you to spoil your loved one than with a stylish and elegant time piece from our popular Guess watch range. Guess watches are the epitome of modern chic, sophistication. 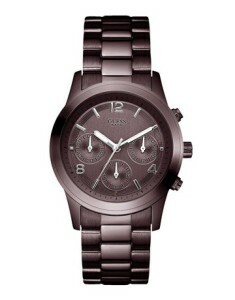 Like, you can be 19 or 59 and these watches will still look awesome on you! NetJewel has become a proud stockist of these gorgeous time-pieces which means that you can now buy Guess watches online! Wooohoooo! Isn’t that the best news you’ve heard all year? If it’s your little sisters sweet sixteenth coming up you may want to go that extra mile to spoil her rotten and welcome her to the wonderful world of “adulthood” and there is no other perfect gift to give her than a glamorous Guess watch! The gift of a watch is a symbol of time and I can guarantee that every time your little sis looks down at her Guess watch she’ll think of you! All women like a little bling in their lives, so get your wife or girlfriend sparkling with pride on her birthday with the gift of a watch like the Guess retro glam gold watch. This is a gift that will win you first prize as hubby or boyfriend of the year, guaranteed. Buying a watch online as a gift is a thoughtful and personal way to show the special person in your life just how much they mean to you. NetJewel goes out of their way to try to make every gifting occasion as special as it can be. 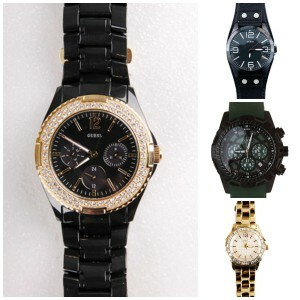 Whether it’s a gift for Christmas that you need or a gift for your dads birthday, NetJewel has got it covered! With time-pieces like a Guess watch those little, well jewelled elves will have a Guess watch gift for any and every occasion! All you have to do is log on, click your favourite pick and they’ll do the rest to get your Guess watch to you in no time!